At an investor meeting this week, NVIDIA GM Mike Rayfield revealed that the company plans to roll out its Tegra 3 processor in thirty smartphones this year. 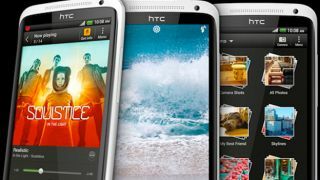 Already behind powerful devices like the HTC One X, the Tegra 3 will run a host of other mobile phones in 2012 with its low-profile, quad-core, NEON-enabled CPU, said Rayfield. Consumers will likely see the 1.4 GHz processor in more Asus, Acer, Toshiba, LG, and HTC phones in the coming months. If the HTC One X is any indication, these devices will be mobile gaming and media powerhouses. Practically, the Tegra 3 (Kal-El series, named after Superman) supports up to 16 simultaneous active operations on its Cortex A-9 processors, but relies on its fifth "companion core" to take over in stand-by or low-usage mode. This allows the phone to conserve power during down-time and run demanding applications when needed. While NVIDIA hasn't announced all of the phones receiving the Tegra 3, it does claim that at least 13 of them will have a transfer price under $300. Apparently, the price of power is going down. It's a good bet that Asus will be a big player in this shift, and it's possible that the rumored Android 5.0 tablet will sport the Tegra 3, or a similar processor from NVIDIA. "The Tegra 3 will run a host of other mobile phones in 2012 with its low-profile, quad-core, NEON-enabled CPU," said Rayfield. Also, whatever new phone HTC has been brewing to replace the One X will probably run off a Tegra 3, though the Kal-El series is set to be replaced by the Wayne series (Batman nod) in early 2013. In the same investor meeting, NVIDIA announced its plan to begin integrating its new LTE modem, the Icera 410, with the Tegra 3 going forward. The move comes a bit late, as companies like Qualcomm have already begun integrating network connectivity with its Snapdragon processors, but NVIDIA says that it's confident the quality of its CPUs will make up for the timing. LTE integration in NVIDIA chips won't happen until the Tegra 3 Grey series (Jean Grey reference) is released in 2013.